New home construction. 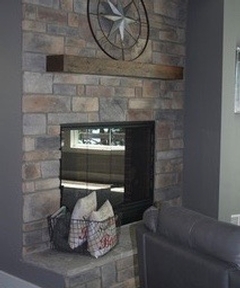 Here is a picture of the fireplace done by Franke Masonry. More interior postings to come!